Whether placed around a dining table or set out for party guests, the Cinzia Side Chair provides seating that’s stylish, modern and comfortable. Graceful curves and a simple, minimalist design make it a perfect fit for many different decors, while a cantilever base adds distinctive artistry. 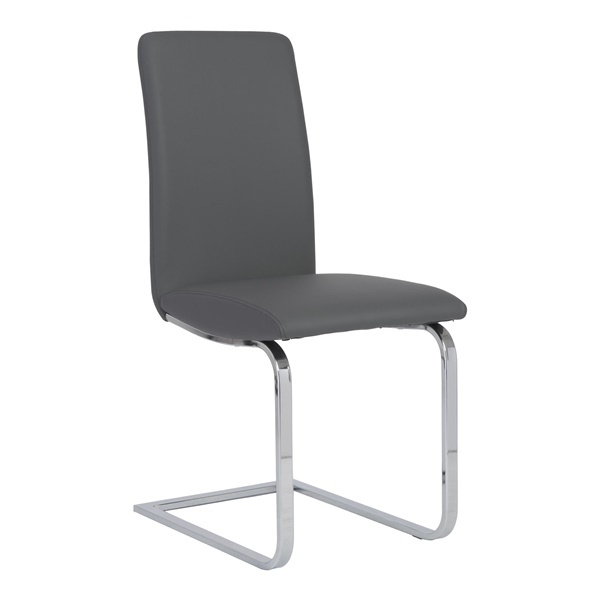 The Cinzia features a chromed steel frame for structure and support that’s sure to last. Foam padding provides superb comfort, while faux-leather upholstery adds a sleek and supple feel. Great Chairs and Customer Service! Love these chairs. We ordered 8 and they look expensive and chic. They were very easy to assemble and arrived in excellent condition due to the thorough packing. Would definitely buy again and recommend to anyone! Do thesehave the option of being sold as a single chair? The Cinzia Side Chair can only be ordered in increments of two.